Summit Helicopters Pvt. Ltd. was previously known as Fishtail Air Pvt. Ltd. This company is well known for tough Himalayan rescues and charter Helicopter services. The company was established in 1997 under the Air Operators Certificate issued by the government of Nepal. Since its establishment, the company has been actively involved in operations throughout the country and some occasional flight to Trans-border countries with a fleet of three helicopters, which includes one AS 350 B3e "Ecureuil", one AS 350 B3+ "Ecureuil" and one Bell 206B III Jet Ranger helicopter. 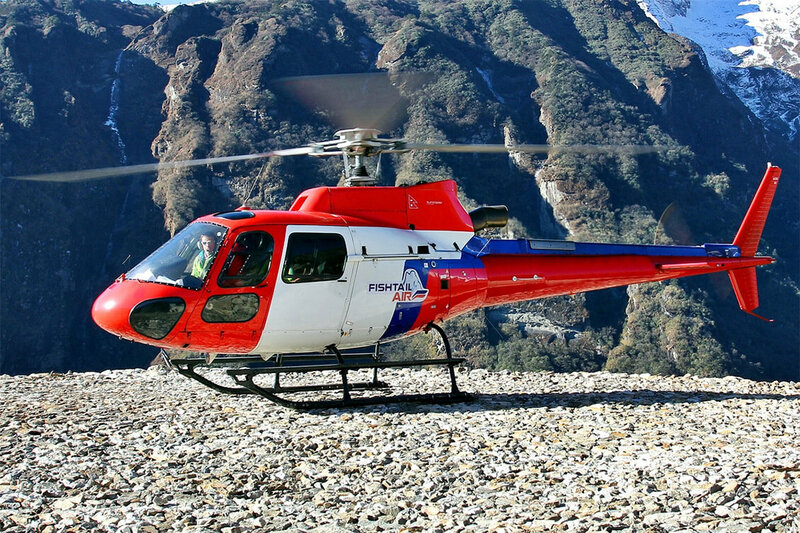 Summit Helicopter offers safe and comfortable Helicopter flights within Nepal. This is the trustworthy company for Heli Trekking, Heli Tours, Rescue and Medical Evacuation. The pilots and all team members are experienced and has spent decades in this field, serving quality Helicopter service in Nepal.